​The Girls’ Friendly Society is the oldest Church of Ireland organisation for girls and women, founded in 1877 by a small group of people whose conscience and Christian faith formulated a vision and aim to help young girls coming from the rural areas of the country to the cities in search of employment, little dreaming of the difficulties and loneliness that might beset them. Since then, the Girls Friendly Society has broadened it’s scope and offers an even wider appeal. Today the Girls Friendly Society is active in eighty branches throughout Ireland, a wide spectrum of interest is covered in the badge syllabus, which includes a study of the natural world, the community and the church, handcrafts and skills, information technology, sports and outdoor pursuits, as well as participating in fund raising to demonstrate the will to help others, both locally and globally. The GFS includes girls aged 3- 16 years. 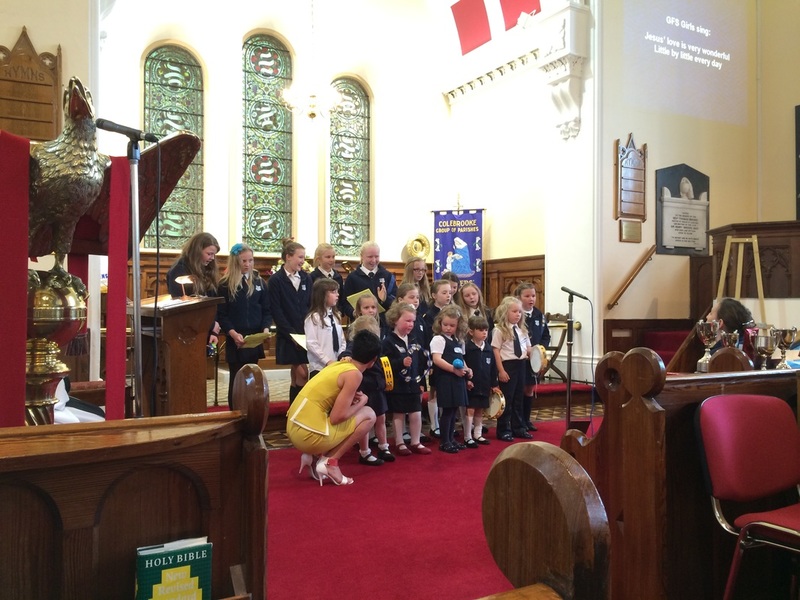 They are instructed in bible study, badge work and craft activities, games and outings.The year concludes with the girls participating in a Sunday morning service and receiving their branch awards and certificates.